After long winters of snow and cold followed by a barely-there spring, summer is a welcome sight. 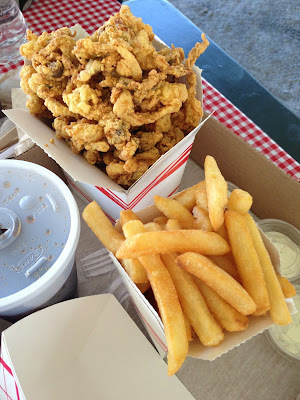 In New England that means bring on the sun, the warmth, and the summer clam shacks and dairy barns. 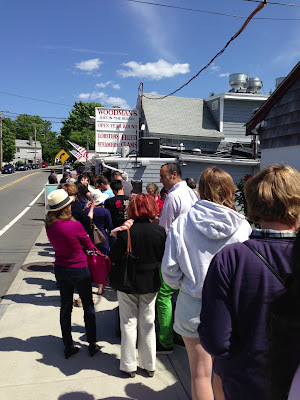 Several years ago a friend introduced me to Woodman's in Essex. It's open year-round but it's a place I associate with warm weather and sunshine. 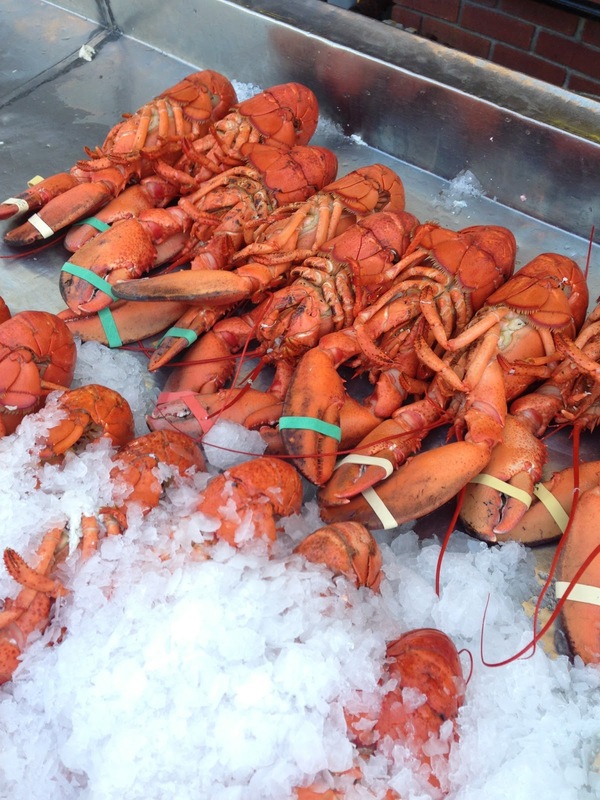 About 45 minutes from Boston, Essex is on Massachusetts' North Shore. We headed up on a beautiful sunny day on Memorial Day weekend and found, to no real surprise, that a lot of folks had the same idea. No one seems to mind the long wait - they know the rewards that come with patience. The folks at Woodman's also have cool lemonade available to those in line. 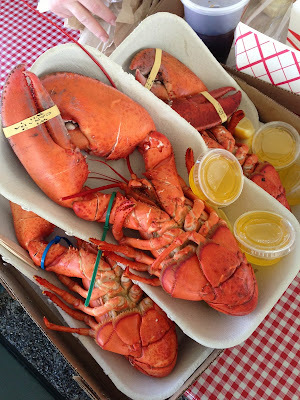 There's a certain order to things here - you order your fried seafood, then order your drinks, then select your lobster. If you follow these simple rules then your food should all be ready right about the same time and then you feast. 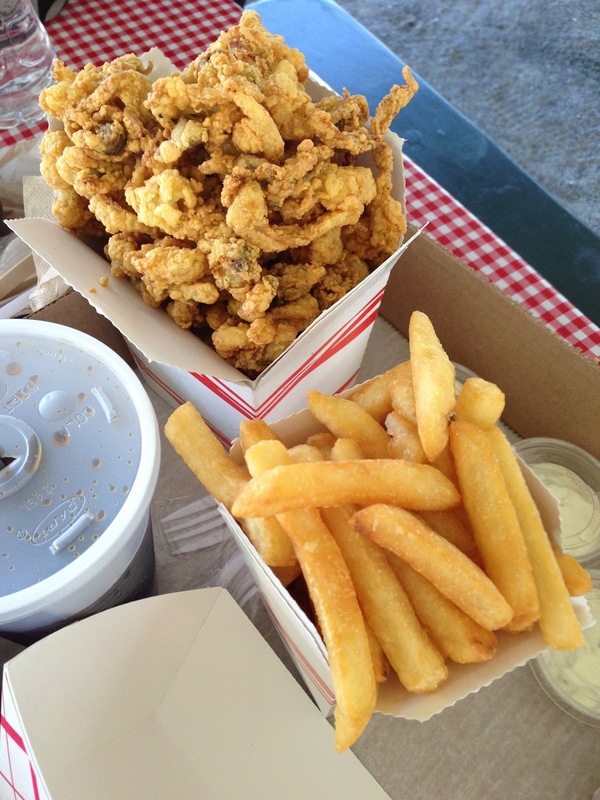 As tempting as the entire menu sounds, we keep things simple - fried whole belly clams, french fries, and steamed lobster. Take everything out to the picnic tables out back, put on your plastic bib, and dig in. There's nothing better. 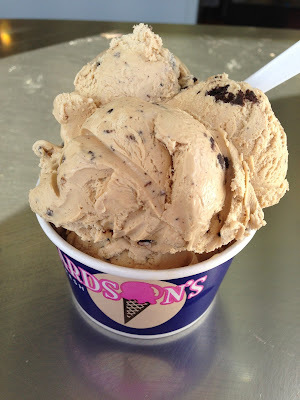 And to finish the day, we head over to Middleton to Richardson's for huge helpings of homemade ice cream. Richardson's is one of those great places where a family could spend an afternoon playing mini-golf before getting a sweet treat. They also have a fairly large driving range for the golfers in your family. Ice cream flavors are plentiful, servings are generous, and prices are inexpensive. Nowadays these places are open year round but I'll always see them as great ways to celebrate some of the summer foods of New England.